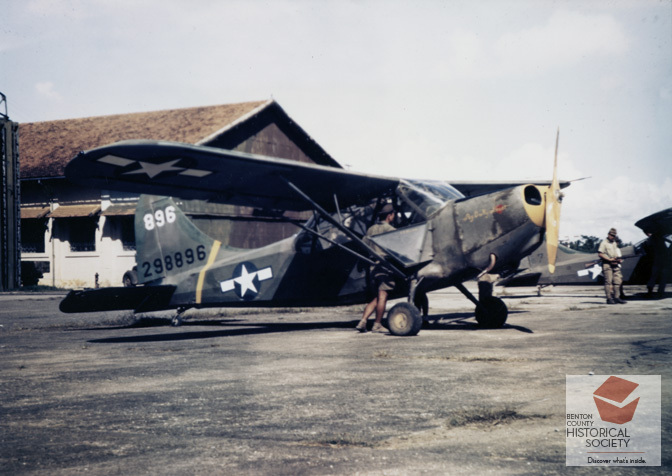 From 1943 to 1945, Dewy Mosier flew more than 200 missions in a Stinson L-5 Sentinel. Half of these missions were transporting supplies and personnel over the hump between Burma (now Myanmar) and China. He received the Distinguished Flying Cross after rescuing a downed P-38 pilot in interior China.